I have never met someone who said that they'd prefer short lasting makeup. Really, why would anyone ever say that? Everyone strives for their makeup to last all day, especially if their look is absolutely flawless that day. Thankfully, there are a couple of ways to keep your work of art on your face longer than you think. Primer is a must for me. With the right products, it helps me achieve a seamless base and gives my foundation something to adhere onto. I find that when I use a primer my foundation doesn't only look more flawless, but it also lasts a longer period of time. 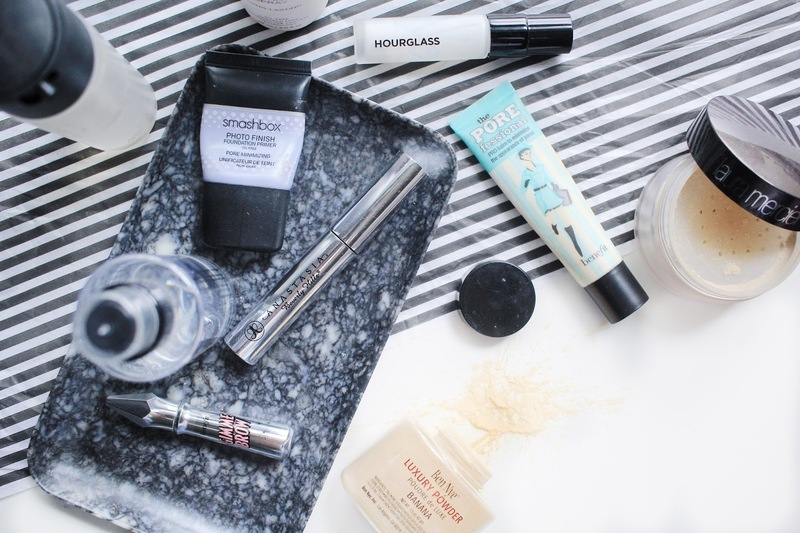 Here are a few goodies I recommend: Hourglass Veil Mineral Primer, Benefit Porefessional, Smashbox Photo Finish Pore Minimizing Primer. I've been using each of these for a while and they've never let me down. They all contributed a whole lot to longer lasting makeup. There used to be a time when I would never use a setting spray. The first time I used one, I was blown away. 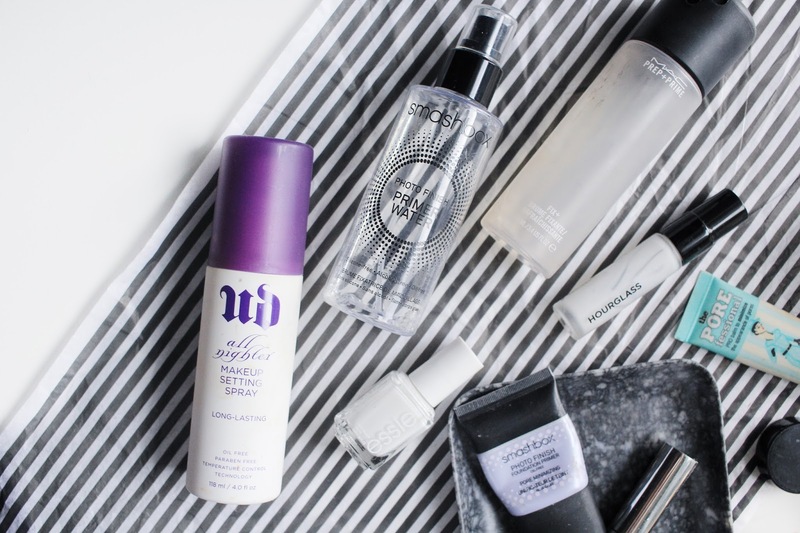 The Urban Decay All-Nighter Setting Spray was the spray that took my setting spray virginity. The hype for this product is real because it really works, and it works well! It'll keep your makeup on through your best and worst days. Two other sprays that I like are the Smashbox Photo Finish Primer Water and MAC Fix+. Though, I don't think they're actual setting sprays, they still keep your makeup looking tip-top! A setting powder is essential if you find that your makeup's slipping and sliding off your face and hanging on for dear life. Setting your whole face can make the worlds difference, but to be completely honest, I don't set my face that often (mostly because I don't find my makeup going crazy on me). I do, however, religiously set my under eyes and t-zone. That keeps my concealer from creasing and also prevents my oils from seeping through too early, meaning my makeup stays intact much longer. My favourites for this job are the Laura Mercier Translucent Setting Powder & Ben Nye Banana Powder. Here's one for a specific area of the face: the brows. If I'm having a rough day with my brows, like they decide to go loco, I could always count on a good brow gel to tame them bad boys. Even when they aren't on the edge of switching to the dark side, I still like to set my brows. When I do, they just look so much more...shall we say "on fleek"? Yup, basically. 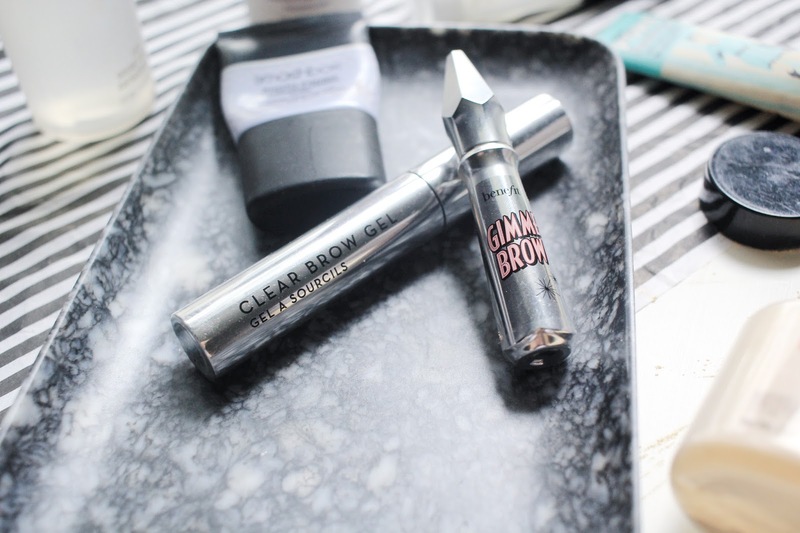 The best brow gels I've tried are the Anastasia Beverly Hills Clear Brow Gel & Benefit Gimme Brow. 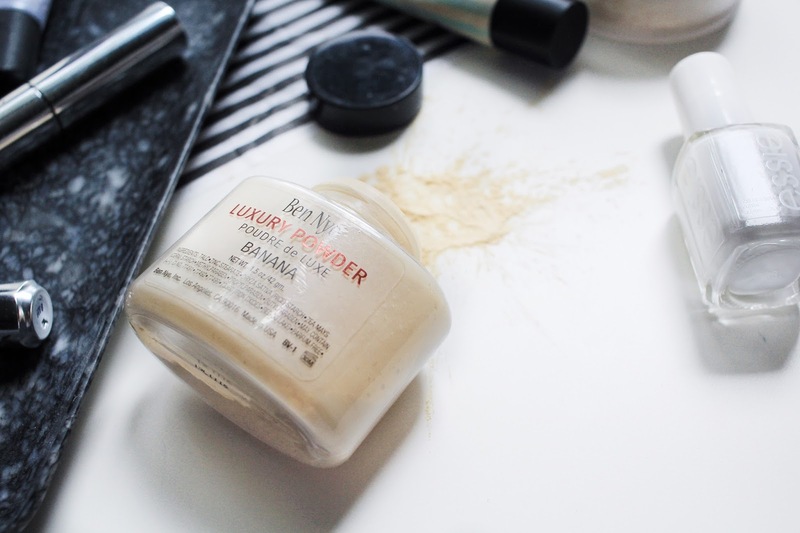 What are your favourite products that ensure long lasting makeup?